20 feet S-W102-20 Packaging Dimensions 9.3 in. x 8.5 in. x 1 in. 20 feet S-W102-20 Weight 0.373 lbs. 250 feet S-W102-250 Packaging Dimensions 6.25 in. x 6.25 in. x 3.5 in. 250 feet S-W102-250 Weight 5.25 lbs. 50 feet S-W102-50 Packaging Dimensions 12 in. x 12 in. x 1 in. 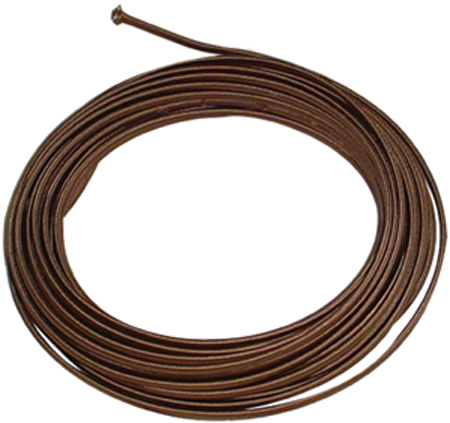 50 feet S-W102-50 Weight 0.94 lbs. All models Item Height 0.209 in. All models Item Width 0.133 in. 1 answers Will you sell the braided power cord in lengths less than 50 feet? That is a lot more than I need for the 1 radio I am fixing. Hello, unfortunately, we only sell them in the two size rolls.